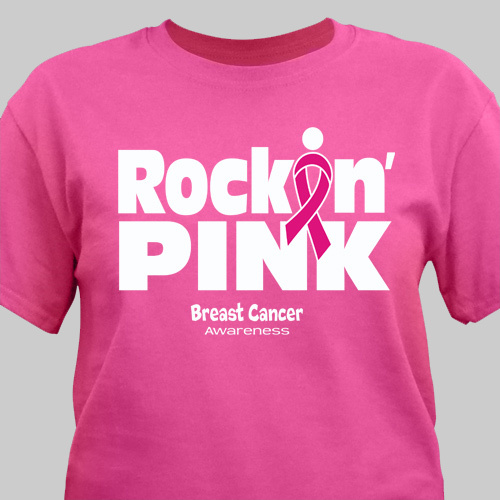 Rock one of these bold pink breast cancer awareness Personalized T-Shirts at your next fundraising walk! Spread awareness and show your passion in the fight for a cure to breast cancer. 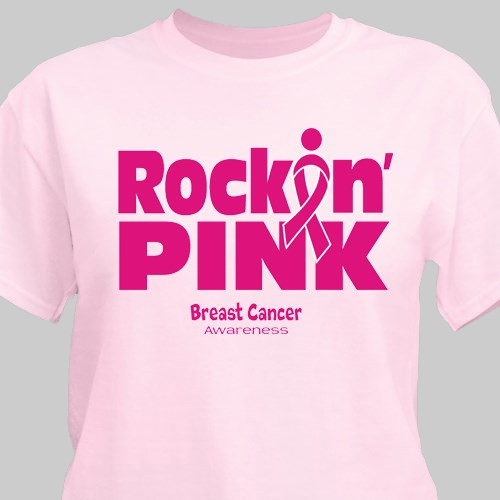 This Breast Cancer Awareness Personalized Shirt is available on our premium 100% cotton T-Shirt & our 100% preshrunk cotton colored T-Shirts, machine washable in youth sizes XS-L & adult sizes S-3XL. I thought that I was getting a darker shade of pink than what I received. Washed as instructed before wearing. Very little shrinkage, if any! Additional Details This is the perfect personalized gift to give to friends and loved ones who want to actively join in the fight against breast cancer. Our Personalized Breast Cancer Awareness Athletic Dept. T-Shirt is another great gift option.